Light fixtures in the home often times collect a lot of dust, especially those on the ceilings. 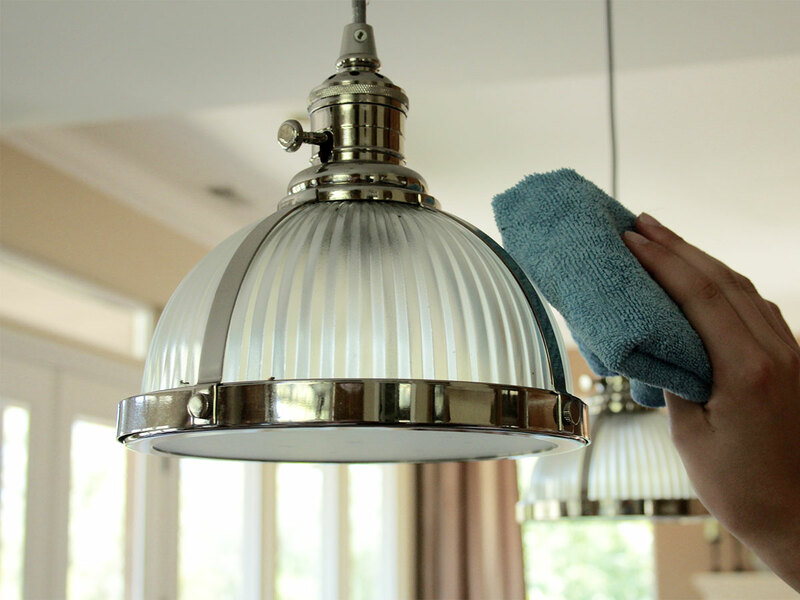 It is important to periodically clean the light fixtures around the whole house to make sure they are dust free. Cleaning these fixtures will ensure you are getting the full use of light in your home. A good time to clean the ceiling mounted light fixtures is when you have to replace a bulb. Using a step ladder, unscrew the glass enclosure and clean the inside and the outside with warm soap water and dry completely. Other light fixtures may just need to be cleaning with a duster. Make sure you get around the bulb and on top of the fixture. Chandeliers are a little more complicated. We found a great video from Howcast about how to clean a crystal chandelier.